Thinking about purchasing a hot tub? Here, homeowners are sharing their personal experiences with hot tubs -- from installing them to cleaning them. Everything you need to know about hot tubs and bacteria -- with tips for cleaning a traditional hot tub, jacuzzi bathtub, or whirlpool tub with air jets. You know what a dirty bathtub ring looks like… Now imagine what that soap scum buildup is doing inside the jet plumbing of your Jacuzzi style bathtub! 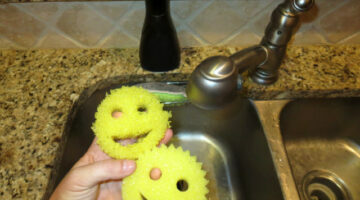 Sure, you can clean the tub itself — but once you start the air jets, all kinds of nasty looking bits and specks will come floating to the surface if you don’t clean the jets, the nozzles, and the interior plumbing system too. Those pipes behind your jet tub quickly become contaminated with infectious bacteria — some you can see, and some you can’t. Fortunately, cleaning the inside of your air tub’s pipes, jets, and nozzles is really easy! The hardest part is taking the time to do it on a regular basis — to prevent biofilm (a nasty residue that forms around bacteria in your plumbing lines) from building up. Here’s how to properly clean a whirlpool tub and remove biofilm yourself in just a few quick steps. See how to make your own jetted tub cleaner and where you can buy one.